My first time at this event which featured lots of woollen items, plus some livestock, Viking re enactment, food, sheepdogs doing their thing, plus workshops, guilds and artisans spinning, weaving, knitting, rag rugging etc. An entertaining annual event at Washingpool Farm, Easter Compton, very near Bristol. This entry was posted in Uncategorized on September 17, 2015 by jenniragrugs. 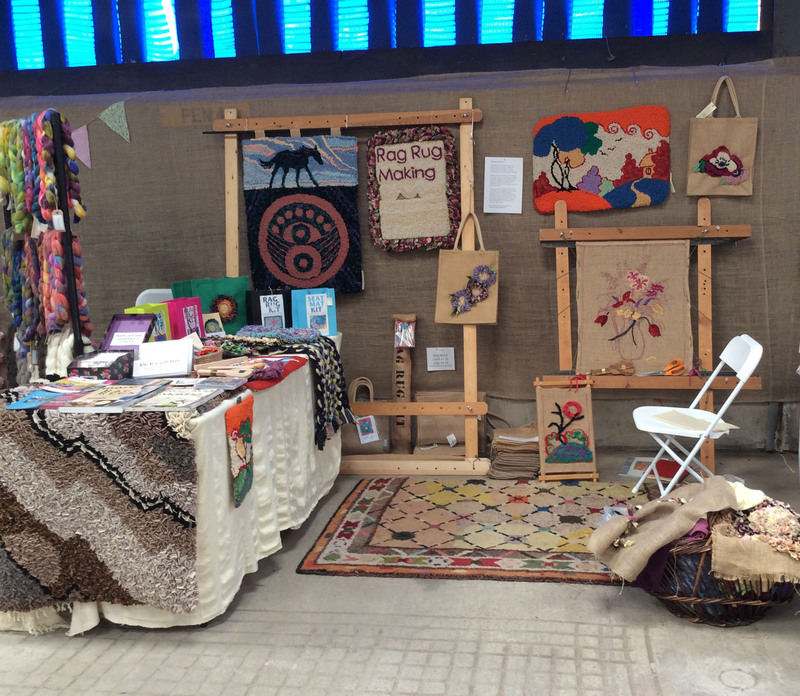 I started rag rug making as a hobby and got hooked on sharing the craft at workshops and creative breaks.